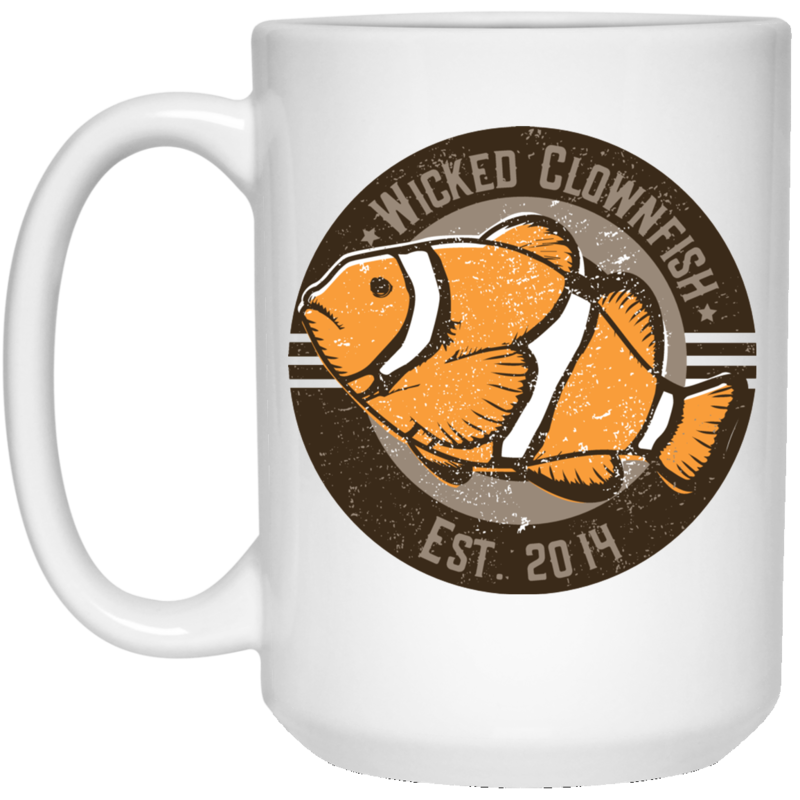 This high-quality large mug features a retro-style hand-drawn clownfish on a cool graphic background. 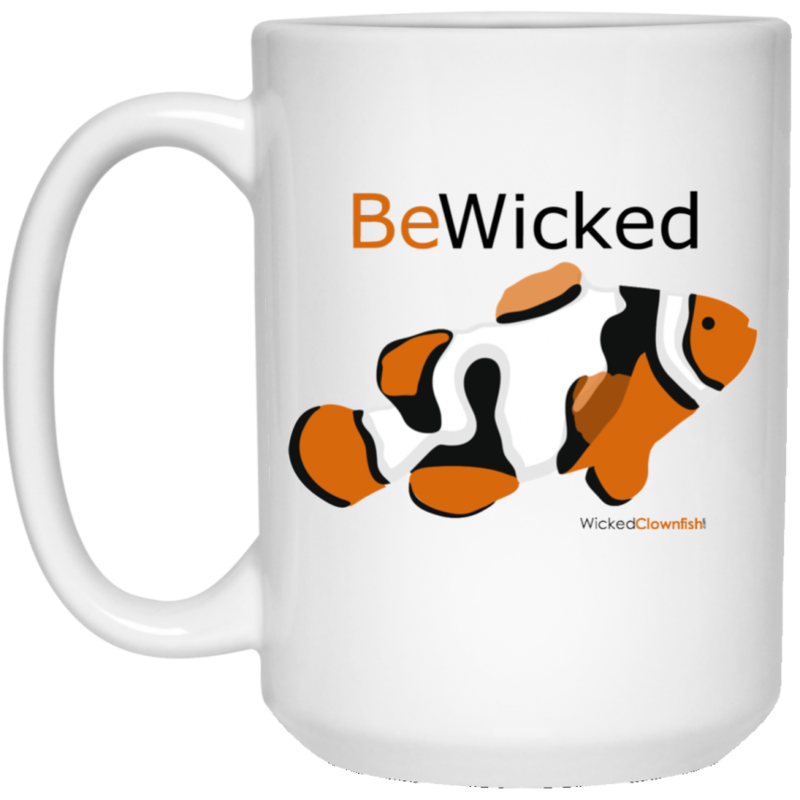 The design shows on both sides of the mug. 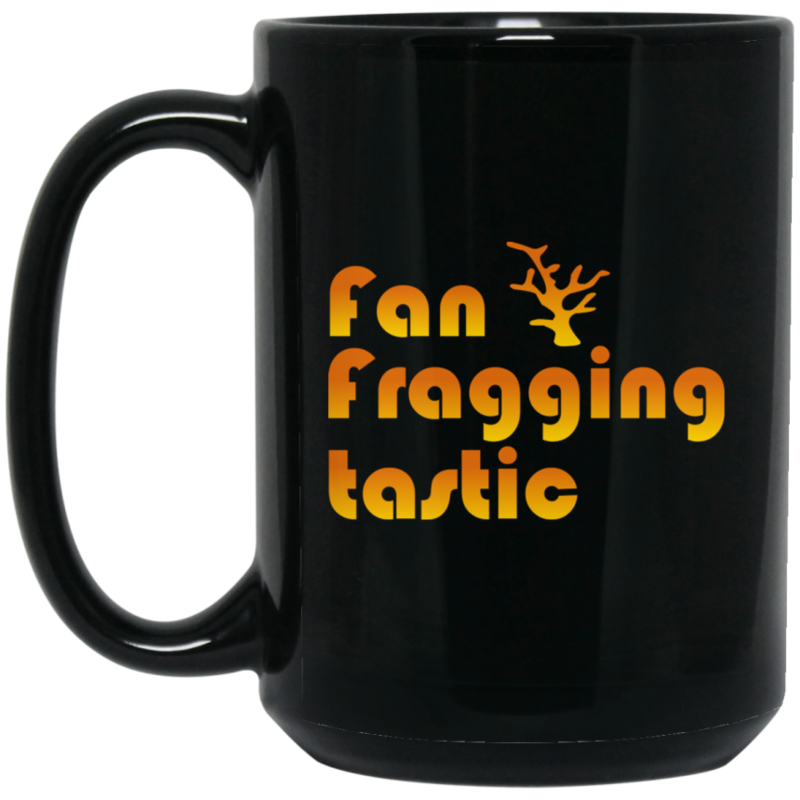 Perfect large mug for coffee, tea, hot chocolate or – yep – pretty much anything else you might want to drink from a mug!